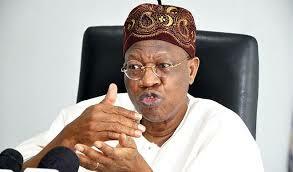 Lai Mohammed, minister of information, says the fact that he is named ‘Lai’ makes it convenient for people to tag his utterances as ‘lies’. The minister said being the image maker of the APC when it was the opposition party, the Peoples Democratic Party (PDP) will find it hard to forgive him for “what happened to them”. “I have two burdens. The first is that I happened to be the face of the opposition and PDP has not forgiven me and they will never forgive me. I think they look at the magnitude of what has happened to them and they hold me solely responsible; which is not fair. But, I did my bit,” he told Vanguard in an interview. “Now, becoming the face of government again, it is automatic that whatever comes from Lai Mohammed, we must shoot it down as fake news and a lie. PDP, Nigeria’s main opposition party, has time and again said it is ready to wrestle power from the All Progressives Congress (APC) administration. But Mohammed says the party’s bid to return to lead Nigeria is akin to the country returning to Egypt. Mohammed, who also oversees the ministry of culture, however, said the APC administration is not afraid of the PDP staging a comeback. He said: “You want those people (PDP) to preside over the affairs of Nigeria again, with the kind of revelation that is coming out, the kind of rot? “What will happen to the investigations that were carried out if the PDP should win elections again? It will be swept under the carpet.